This page has been updated on 16th April 2012. 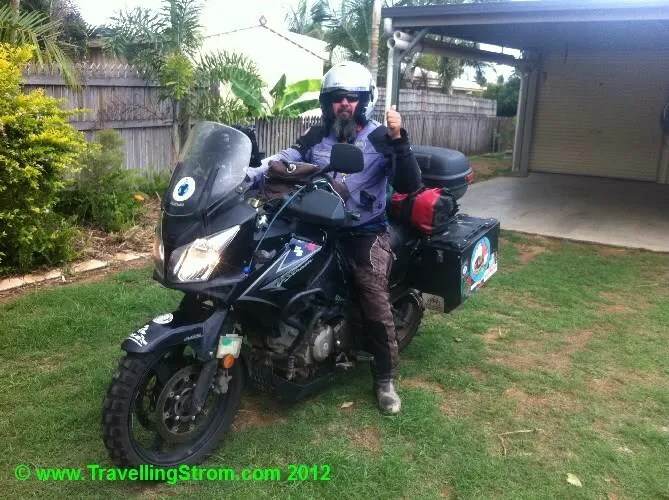 I have a newer version of the Vstrom, a black 09 model with ABS, but that is in Australia. I had sold the blue 2006 version as it had been dusted. 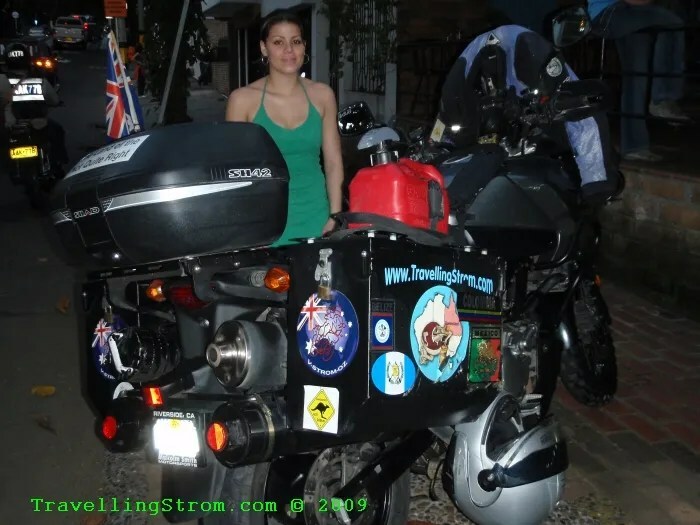 My bike I am using in the America’s is a 2007 model Suzuki DL650 Vstrom with quite a few modifications to make touring, both on and off road, more enjoyable and safer for me. 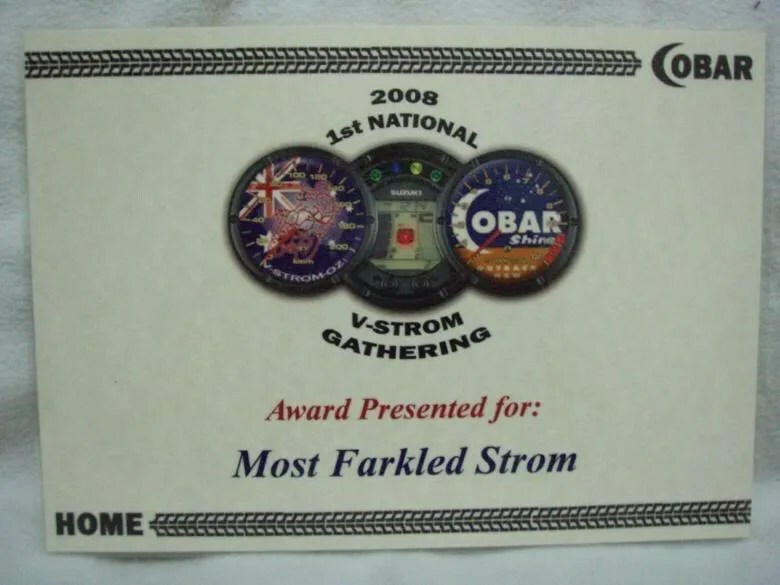 A while back I attended the Inaugural Vstrom gathering at Cobar, in 2007 and this is the prize I won for the most farkled VStrom. FARKLE = a combination of Function and Sparkle, those things added to a motorbike that improves their function or looks. If you wish to make a comment for public viewing then you can fill out the form below. Maybe, you could find another photo of yourself? Allright — I guess it would not go with the bike…. 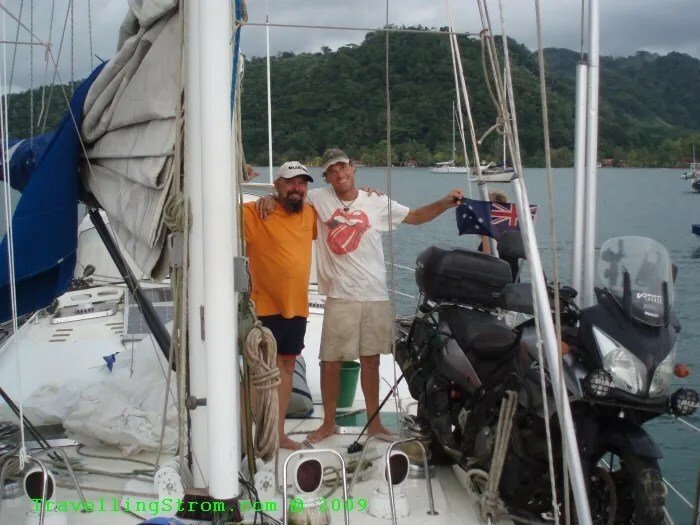 Good ride reports, how many kms on the the strom now ? And is the Tomtom still playing up ? The TomTom is great. Since I had it exchanged under warrenty for the new version V2, I have had no problems electrically or mechanically(the mounting system is so much better than V1). I still have issues with bad addresses, but that is due to the data supplied via the Sensis system in Oz, but Garmin also use the same data and have the same errors. I have just realised that this is not quite correct. The TomTom lost all its data on th eway to Alice and had to be sent back for repair. I have a feeling this was my fault, because I had added some extra features, mainly a track logger and a sunset timer. I think once all the memory was full of tracks, that this may have caused the problem. At this stage it is working.